Thirty, budding, Tamahere School eco-warriors today dug into Tamahere’s latest conservation project – the public reserve below the Allan Turner suspension bridge. 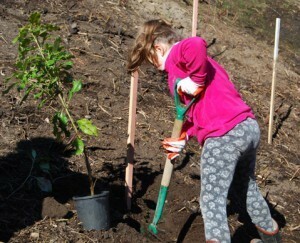 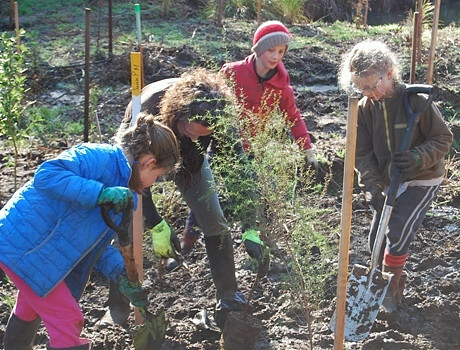 Supported by parents and teachers and guided by members of the Tamahere-Mangaone Restoration Trust the hardworking students spent a morning planting 240 trees below the bridge and alongside the Mangaharakeke Stream. 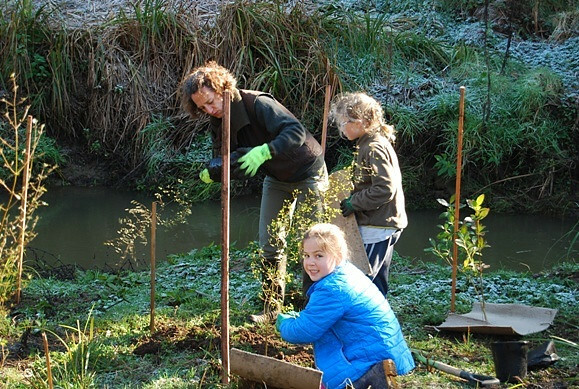 The working bee began with briefings about the restoration and its aims of restoring a largely lost eco-system in the Waikato, and the appropriate techniques for successfully planting the native plants. 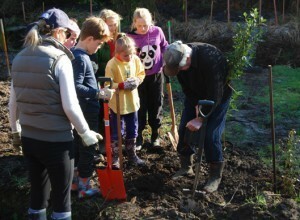 The junior eco-warriors got down with gusto to their tasks of digging holes, dragging reluctant plants from pots, settling them into their new positions, and covering them with soil and the carpet squares, which will suppress weeds and retain moisture. 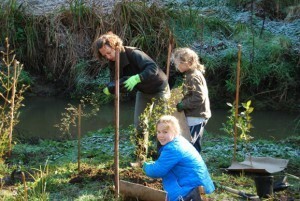 The banks were steep and the stream bank muddy but nothing deterred their enthusiasm for the job done in sunshine on an otherwise chilly day. 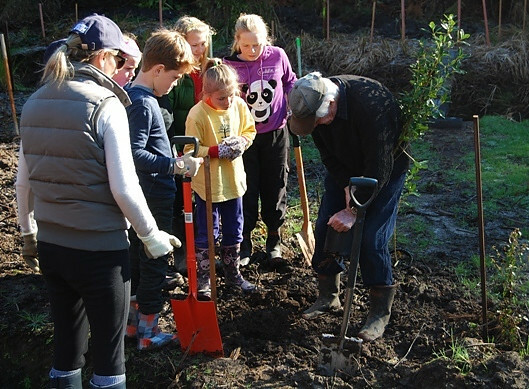 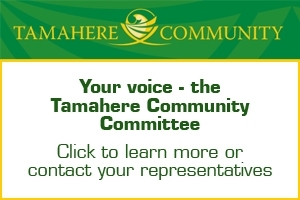 Trust members Leo Koppens, John Sheat and Peter Morris, who have added the new restoration project at the end of Woodcock Rd to their original work in the Tamahere Reserve on Tauwhare Rd, were delighted with the hardworking efforts of the students and their supporters. 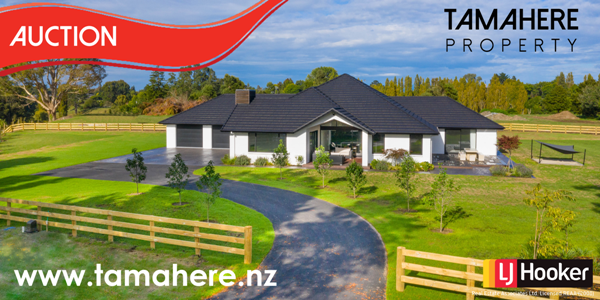 The event was also supported by HEB Construction, which funded the plants as part of the requirements of its resource consent for the Waikato Expressway to create new areas that will ultimately be suitable for habitats for the rare native bat. 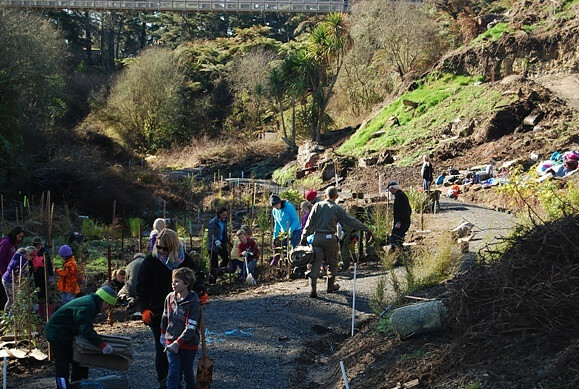 A second, community working bee was held in the reserve this week when the Tamahere Lions lent their efforts to clearing blackberry and other weeds under the Allan Turner bridge.